How do you get the help you need to choose the right insurance for your business? Start by contacting our professional agent who specializes in commercial insurance. Not only can a member agent can find the best commercial truck insurance policy for your company at the best rate, but our agent will be able to help you with every aspect of your business coverage, from general liability to property coverage to commercial truck insurance. Commercial truck liability insurance: Covers your liability risks in the event that you or one of your employed drivers causes an accident. Your commercial truck liability will include bodily injury liability to cover the costs of injuries and medical expenses for the injured party, and property damage liability to cover the costs of property damage in an accident. Your commercial truck liability insurance will typically also cover the costs of legal defense, whether or not your company is found to be at fault in an accident. Physical damage coverage: Covers the costs of damage to your vehicle from an accident or other incident. This coverage includes both collision coverage to pay for damage from a crash as well as comprehensive coverage to pay for damage from theft, vandalism and "other than collision” causes. Uninsured/underinsurance motorists coverage: Covers the costs of injuries and damages if you or one of your employees is in an accident where another driver is at fault, but that driver does not have adequate coverage to pay for your injuries and property damage. 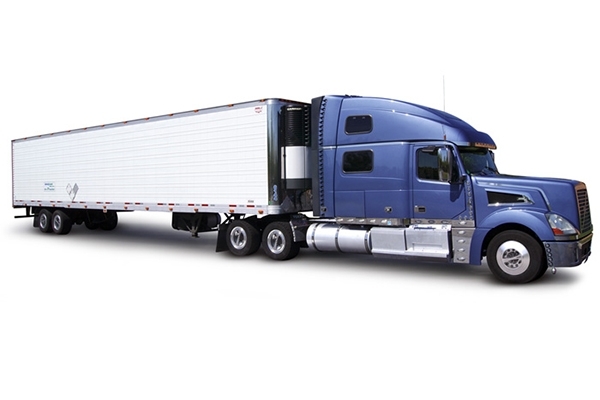 Truck cargo coverage: Covers damage or theft of items your truck is hauling. In addition to these types of coverage, you will have many other options as you structure your policy to cover your specific concerns. For example, if your employees sometimes need to drive their own vehicles in the course of business, you may want a non-owned vehicles policy. This coverage will protect you and your drivers from the costs associated with accidents that occur during business hours when an employee is driving a vehicle that your company does not own.